Drama, location, and views define this exceptional Forest Glen custom home, Its location, just one block from Stone Mountain Elementary, its elevation allowing mountain as well as city views and a fabulous walk out basement added to the exceptional designer features throughout to make it a special find. This, 5,661 square foot family home with gleaming hardwood floors on 2 levels, flexible play/homework space upstairs, a huge Botanic garden like yard and designer finishes throughout is sure to go to the top of your list. Association Name Primary: Weatherstone At Highlands Ranch Association, Inc.
Sign in to take advantage of all this site has to offer. Save your favorite listings and searches. Also receive email updates when listings you like come on the market for free! 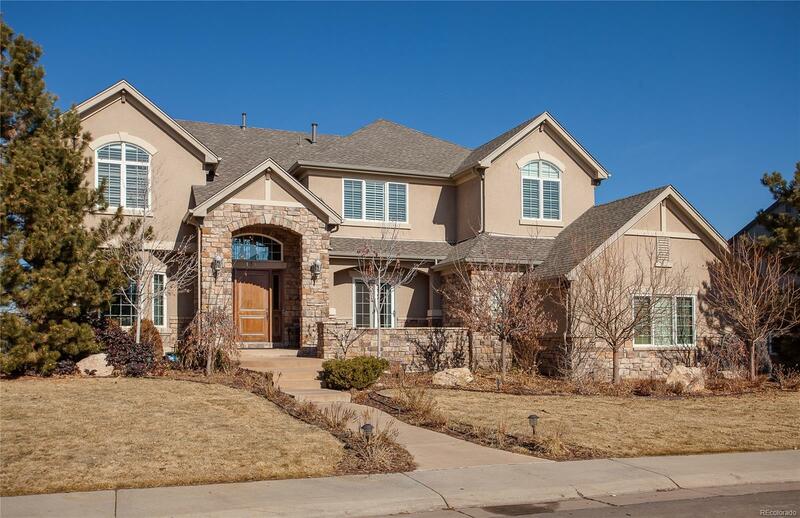 The content relating to real estate for sale in this Web site comes in part from the Internet Data eXchange ("IDX") program of METROLIST, INC.DBA RECOLORADO® Real estate listings held by brokers other than Urban Companies are marked with the IDX Logo. This information is being provided for the consumers' personal, non-commercial use and may not be used for any other purpose. All information subject to change and should be independently verified.